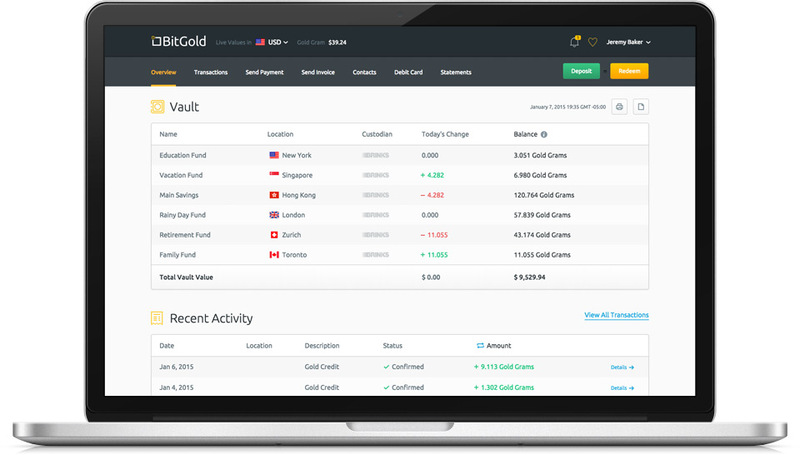 We have already covered the BitGold service that offers an easy way to acquire Gold and to spend it for everyday payments or store it as an investment and you can also always redeem your gold for cash or have it physically sent to you. The service has had support for purchasing Gold with Bitcoins for quite some time already, but it seems that they have significantly expanded the number of supported crypto currencies that can be used. Below is a list of crypto currencies that are supported by the service for purchasing Gold, but do note that there are some additional limitations associated with Gold purchases using BTC or another cryptocoin. What still seems to be missing and what we want to see in the future is also the option not only to purchase Gold with crypto currencies, but also to withdraw it in BTC or another crypto currency. For the moment you can still only Redeem your gold owned via a bank transfer, to a prepaid card or in a physical form sent to you. You can of course use the Gold Backed Prepaid MasterCard that the service offers to do regular everyday payments just like you can do with any other MasterCard or send Gold to other users by email similar to how PayPal works for money. So pretty much the only thing that the service needs now is to add the ability to convert your Gold to Bitcoin or another crypto currency and have it sent to your digital wallet. Gold has been around for ages and is probably the most universal means of long term and reliable investment, but there is a new company that wants to change the way people think about Gold and use it. Sure you can buy Gold with Bitcoin or cash and have it delivered to you and you can then sell the Gold you own physically, but that is not so easy and convenient. 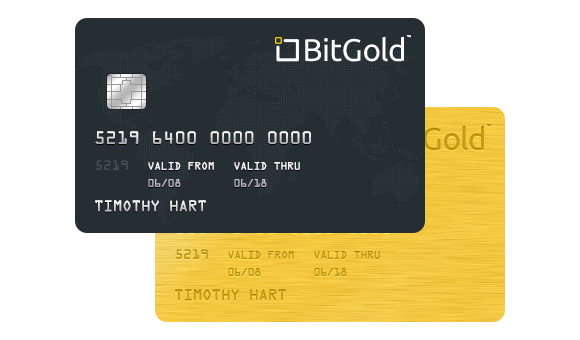 This is exactly what BitGold is trying to change by offering an easy way to acquire Gold and to spend it for everyday payments or store it as an investment and you can also request to have it sent to you in a physical form. 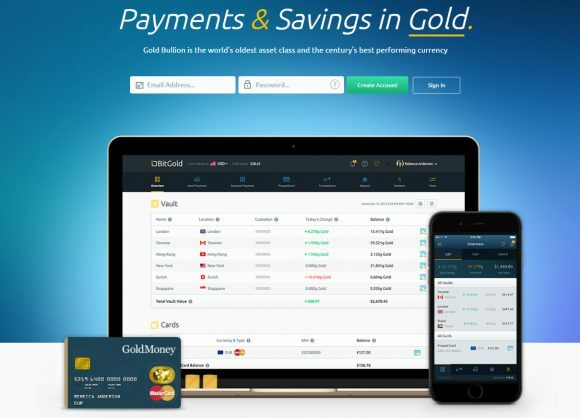 The company is providing users with a secure vault account to purchase and hold Gold, the ability to make and receive instant Gold payments, and a debit card for spending Gold at traditional points of sale. All of the Gold you own is also fully redeemable as 1kg Bullion Bars or 10g GoldCubes at any time, so you always have the traditional old way of long term investment. 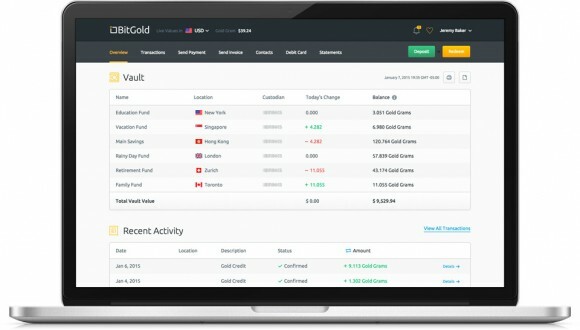 The idea behind BitGold has a similar concept to that of Bitcoin and other digital currencies. The service however has nothing to do with Bitcoin directly, even though its name even includes Bit, there is no direct relation with Bitcoin, although you can already use Bitcoins to directly purchase Gold in the service and hopefully soon be able to also withdraw in BTC. This is just an example of how things like Bitcoin are already starting to affect the way things are and how new ideas that may not have anything to do with Bitcoin directly can turn out to be quite an interesting and attractive alternative choice for your digital payment needs. So if this sounds interesting to you, then you might want to check out the new service and turn some Bitcoins into Gold, you can quickly and easily register and it is free and not to mention that you will also get some bonus Gold deposited in your account after finishing the registration successfully.